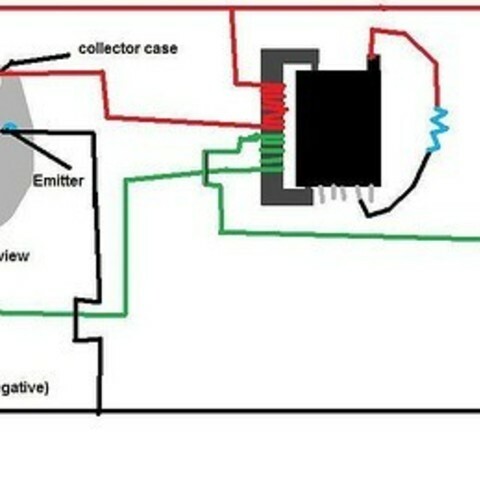 This is an easy to make project for a High voltage power source. "HIGH VOLTAGE GUNS, MORE DEAD PEOPLE AND MORE HIGH VOLTAGE FUN" Make sure to check out the instructions. 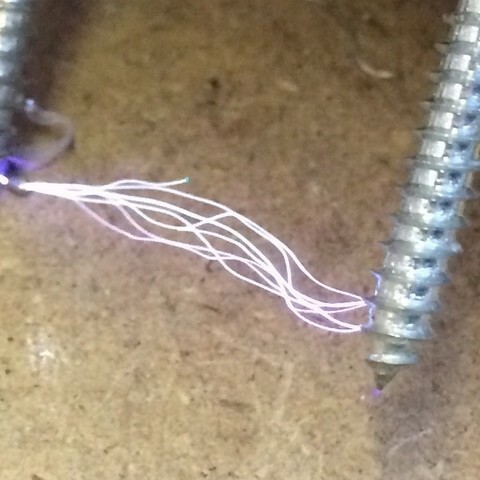 Be careful while handling high voltages, this has enough energy to stop someones heart. WARNING: I AM NOT RESPONSIBLE FOR ANY INJURIES OF ANY KIND. PLEASE DO NOT HANDLE HIGH VOLTAGES WITHOUT KNOWLEDGE. IF YOU HANDLE HIGH VOLTAGE WITH NO EXPERIENCE, DEATH MAY OCCUR. IF YOU EXPERIENCE DEATH, PLEASE CONTACT YOU DOCTOR IMMEDIATELY. Find an old CRT television (An old television mainly used during 1990s or later, these are the televisions that were large and are pretty common to find. ), these contain a component called a Flyback Transformer, google to make sure what a CRT television is and what a Flyback looks like. Wrap wire around the core, its the bar hanging off the flyback. The wire should be going down anti-clockwise and around 10 turns. 4.Use the schematic to wire it up, the notches on the board should tell you where each wire goes to. The schematic should still help. 5.Go to Radioshack and buy a 9 volt battery pack, wire this to the board and you should get high voltage. If you have any problems let me know in the comments, I worked hard to make sure it worked before I published. 1.Q: My flyback gave me arcs but then it stopped working! 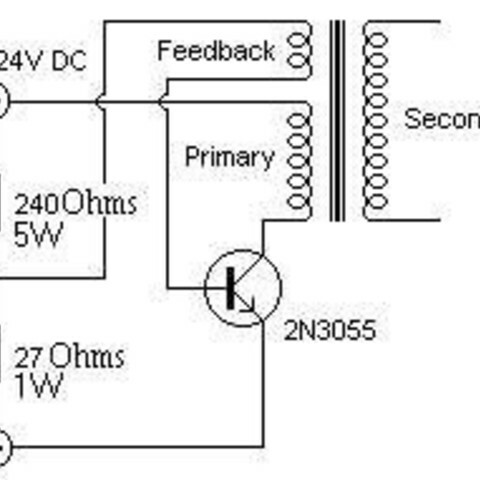 A: Try putting in a new 2n3055 Transistor, and put a heatsink if you feel the transistor getting hot. A: This happened to me too, the solution is to switch the leads going to the flyback primary. A: If you dont want to find the primary coil you can wrap your own around the core on the flyback, this will decrease your arcs though. 5.Q: How many volts should I put in? A: I recommend a 6 AA Battery Pack.